On the Growth or Enterprise plans, you can customize stages specifically for any individual in a sequence. Head over to your sequence’s Reports tab and click Personalize on any row. You can edit the content and schedule send date for any stage. 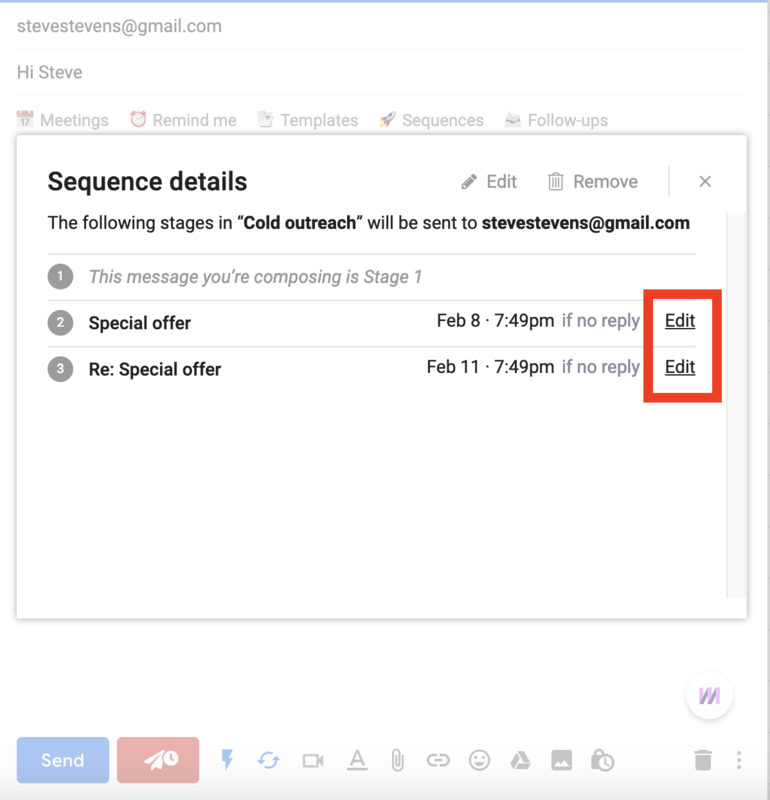 Changes only affect that specific recipient, so you can make your stages as personal as you want. If you want to personalize the first stage of your sequence, schedule your sequence to send in the future. This will give you time to modify Stage 1 for each recipient. After clicking the pencil icon, click Edit in the box that appears. You’ll see a preview of all your stages which you can edit as you like. Note: the edit button will only appear if you have a recipient in the TO: field. Click Save when you're done and you'll be ready to send the message.